WonderSoft Multimedia Solutions provides responsive web development services which are completely user-centric. 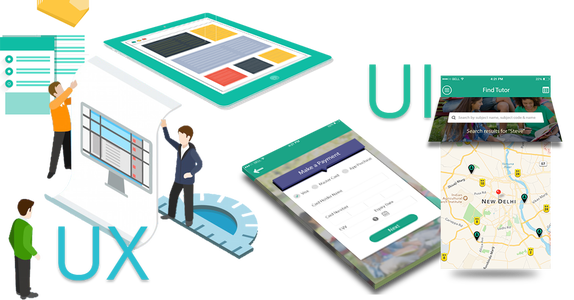 We deliver a host of user experience services that including definition of user profiles, task flows, usage scenarios, information hierarchy, etc. Our designers & developers innovative user friendly web applications which will deliver an experience the consumers crave. If you want a website packed with interactive features such as drop-downs, tool tips etc. to enhance your website’s user relatability, give us a call! Ready to Create Stunning Web Applications With WMS? WonderSoft Multimedia Solutions (WMS) is absolutely unmatched at developing UI/UX Designs which perfectly cater to you. We understand that you want more visits and longer session times on your website, so we design websites which will keep the visitor reeled in!